We need to collect your personal data (data capable of identifying you) to conduct your case. That data will come from you, and other third parties, such as the police, the Crown Prosecution Service and the Legal Aid Agency. All your personal data is subject to our duty of confidentiality. Our use of that information is subject to your instructions, the Data Protection Act 2018 and our duty of confidentiality. Which third parties will we share your personal data with? Please note that our work for you may require us to give information to third parties such as barristers’ Chambers, barristers, expert witnesses, other professional advisers, agents, the Legal Aid Agency, the Solicitor’s Regulation Authority, the Law Society and LEXCEL. External firms or organisations may conduct audit or quality checks on our practice. These external firms or organisations are required to maintain confidentiality in relation to your files. We are professionally and legally obliged to keep your affairs confidential. However, solicitors may be required by statute to make a disclosure to police/government/financial agencies where they know or suspect that a transaction may involve money laundering or terrorist financing. If we make a disclosure in relation to your matter, we may not be able to tell you that a disclosure has been made. We may have to stop working on your matter for a period of time and may not be able to tell you why. If we know or suspect that you have given false information in relation to an application for legal aid we are obliged to disclose that fact to the Legal Aid Agency. We can share your personal data when it is necessary for the performance of the contract between us for the provision of legal services, or to take pre-contractual steps at your request (providing you with a quote for legal services). We can also share your personal data when necessary in the pursuit of legitimate interests. 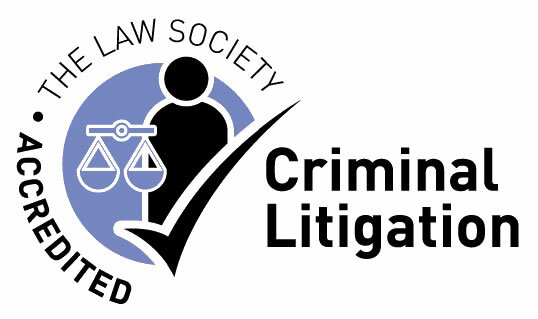 Our mutual legitimate interests include the provision of professional, compliant legal services. We also have legitimate interests in complying with our regulator, our professional Code of Conduct, our contract with the Legal Aid Agency (including retaining our LEXCEL accreditation), and money laundering regulations. Put simply, we cannot provide you with the legal services for which you have instructed us (or enquired after a quote in relation to) without sometimes sharing your personal data. For us to provide you with legal services, we sometimes need to process personal data that is of a sensitive nature (eg. related to your race, religion, sexuality, or health). Processing that data is also lawful if it is necessary to defend your case, even without explicit consent. Due to the nature of the legal services we provide, it is likely that we will be given information about your previous convictions. Again, we will only share that information where necessary, as detailed above. We will never share your personal data with any third parties for marketing purposes. *please note that we are exempt from observing these rights under Schedule 2 of the Data Protection Act 2018, and specifically Part 1, section 2(2) & (3), and section 5(3). We will retain your personal data in your case file for 6 years following the conclusion of your case, or until the end of any sentence you receive, whichever is the longer. It is necessary for us to retain your data for these periods in case you make a complaint to the Ombudsman, or in case of any appeal by you. If your matter is transferred to another solicitor we are still required to maintain a copy of those papers unless any new solicitor signs an undertaking to make them available for Legal Aid Agency audit. We keep files on the understanding that we can destroy them 6 years after the conclusion of your case. If we take papers or documents out of storage in relation to continuing or new instructions to act for you, we will not charge for such retrieval. If papers are requested then you are responsible for their collection.